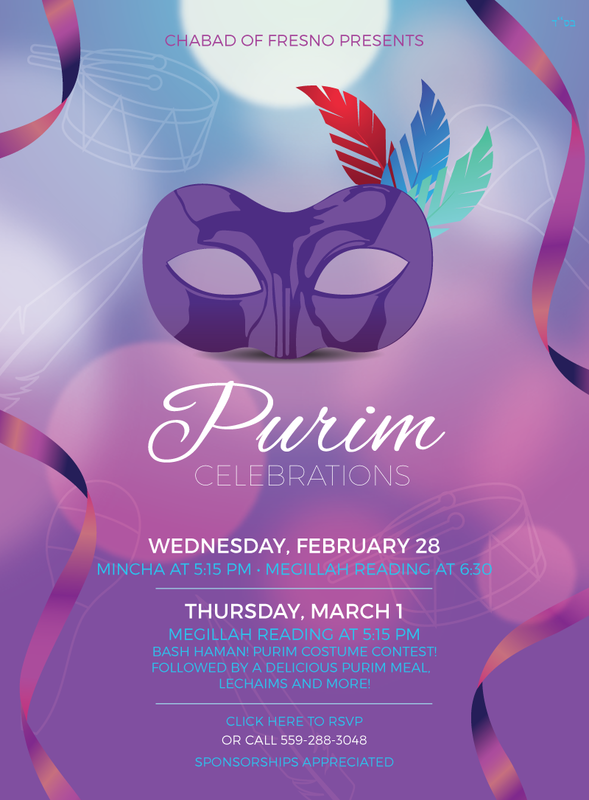 Come join us in the Purim spirit! Concern for the needy is a year-round responsibility; but on Purim it is a special mitzvah to remember the poor. Give charity to at least two (but preferably more) needy individuals on Purim day, March 21. If you are not able to find a poor person, we are able to facilitate this great mitzvah for you. Click donate below to send a donation to our center (note that it's for this cause), and we will distribute it people in need. On Purim we emphasize the importance of Jewish unity and friendship by sending gifts of food to friends. On Purim day, March 21, send a gift of at least two kinds of ready-to-eat foods (e.g., pastry, fruit, beverage) to at least one friend. Men should send to men, and women to women. It is preferable that the gifts be delivered via a third party. Children, in addition to sending their own gifts of food to their friends, make enthusiastic messengers.